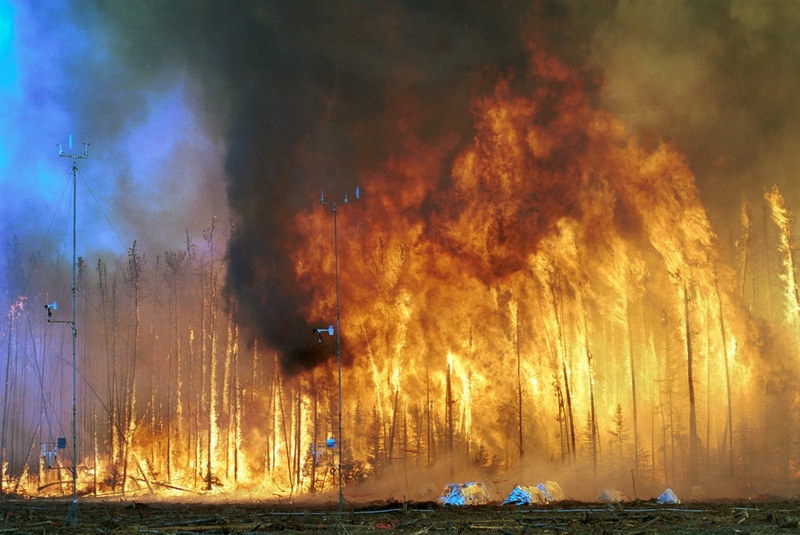 What are wildfires and what triggers them to start? The effect of wildfires on humans and the environment. The preventive measures that people can do to avoid wildfires. So what are fires in nature? They are also known as wildfires and they usually take place in forests. These natural fires can start in two ways – they are either triggered by a natural phenomenon or by a man-made action. There are several reasons why a wildfire starts and, in this part of the module, we will elaborate more about where these wildfires come from. There are two classes of wildfires: fires which occurs in nature naturally with no human involvement and man-made fires which happen because of the activities of humans. When lightning strikes a tree, it can produce a spark which eventually can trigger a fire. The tree that has been hit by the lightning will be the culprit to starting a wildfire because the fire will then likely spread throughout the forest. Volcanic activity – the lava that comes from a volcano is very hot. Once it makes contact with plants and trees, there is a big possibility that it will start a wildfire. 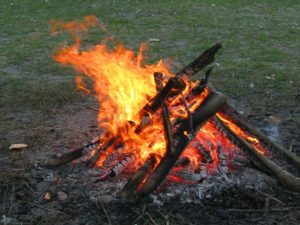 When camping overnight, most people start a campfire with the use of logs to combat the cold, evening weather and to also get rid of insects and keep wild animals away. However, when a campfire is left unattended, it could be the start of a disaster, especially if a breeze starts while the fire still has embers. 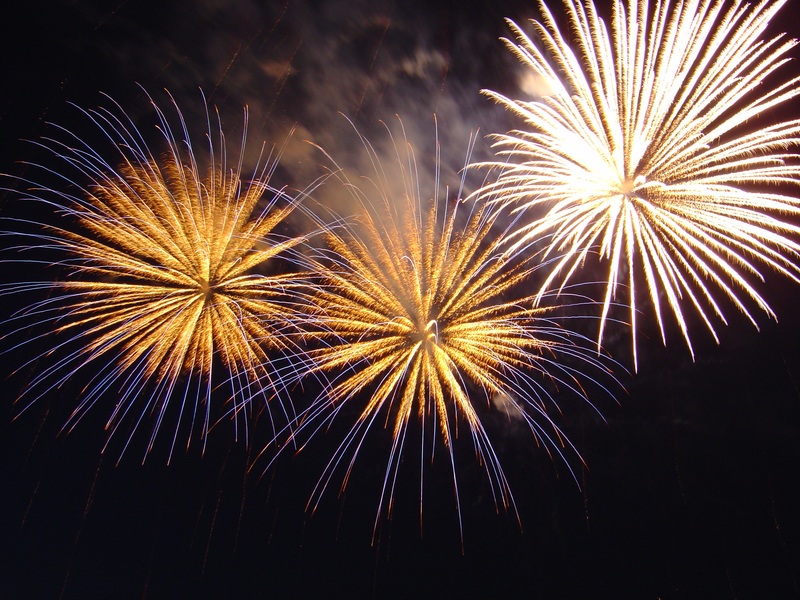 Fireworks are one of the main causes of wildfires. 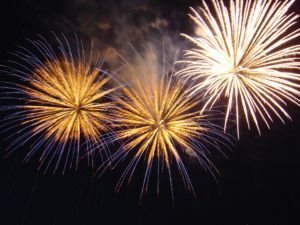 This is very common in Asia because of the massive use of fireworks on special occasions as a part of the celebration. These fireworks become hazardous when they land in trees or on dry grass because they are highly flammable and can start a fire in no time. Cigarettes are one of the major problems throughout the world, not only in terms of contributing to air pollution and certain respiratory illnesses, but they are also a starting point of wildfires when unsuspecting smokers throw their cigarettes out of their vehicle windows when driving or dropping them on the floor at picnics, camping, or fishing. 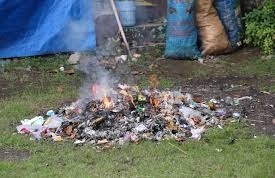 The burning of waste is now prohibited in different countries because of its contribution to air pollution, but before, when there was no restriction on waste burning, many wildfires were linked to the burning of waste. Arsonists are known for burning property to get an insurance claim. However, some just enjoy seeing things burn and will set fires in campsites or forests, which can also result in wildfires if they get out of control. Lives of people and animals that live near forests are at risk of losing their lives and properties when a wildfire hits the area. Even the people who live near the vicinity of a wildfire will be affected as they are at risk of acquiring respiratory issues from smoke inhalation and difficulty breathing. There is a massive amount of destruction to the trees and plants in the area where a wildfire happens, which results in the loss of vegetation. Also, fires can destroy centuries-old trees that are part of the heritage of an area. Firefighters release a massive amount of water to stop wildfires from spreading and eventually declare it under control, but the water has a bad effect on the soil and can cause erosion due to the water changing its consistency. An increase in air pollution in the wildfire area will be experienced. Because fires are composed of ash and gases that are harmful to our ozone layer and to humans and animal’s health, wildfires are very dangerous. Frequent wildfires can contribute to global warming because fires release carbon dioxide and several greenhouse gases that trigger the continued warming of the earth. People must always follow the rules and regulations for fires, especially regarding the environment. This includes regulations especially about not creating fires in open areas or in windy or dry conditions. Avoid burning objects that are highly flammable because it can cause wildfires and air pollution. Dispose of these objects carefully accordingly to the rules of your local government. 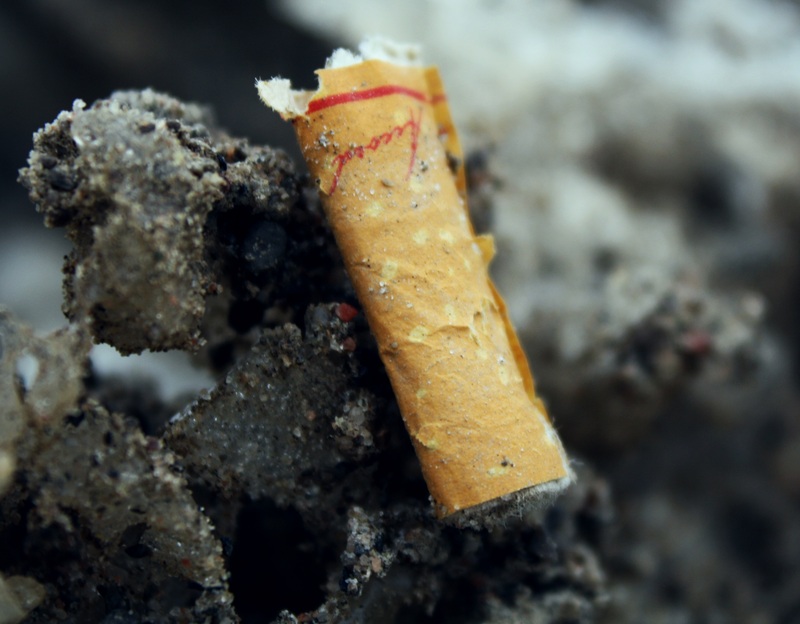 Dispose of your cigarette butts in the right place because they can cause a wildfire, especially if it was thrown onto dry areas. If you cannot avoid lighting a fire, be sure that there are no combustible materials in your surroundings that can pose a risk of starting a wildfire. If it is windy, create a way to protect your fire from the wind, such as digging a ditch to light the fire in. Attend seminars and fire drills regarding wildfires to learn the different disaster management techniques that are disseminated by your local government and environmentalists in your area. We know the causes, effects, and how to deal with wildfires, so it is now easier for us to manage it because you have the knowledge to do so. Most importantly, we have addressed the misconception that wildfires happen randomly and that humans play no part in it. To conclude, wildfires are a phenomenon that happen mostly because of humans being irresponsible in their environment. Only a small percentage of wildfires can be attributed to nature’s own action.